Many people know me as the “smiley guy,” and with that, I make it a point to always have the best and sparkly smile (and laugh). But recently, the gums around my upper left wisdom tooth got inflamed and that made my left cheek look like a stuffed mantou. Definitely not a moment to be smiled at, because it happened just days before I was due to travel. I kind of panicked because I thought I had prepared all the stuff I needed for my vacation. Luckily, the inflammation healed with the help of antibiotics and a three-day visit to a dentist. The dentist explained that my situation was considered as a dental emergency, especially since there was an inflammation, which could have worsened had I left it to heal by itself. Knowing and avoiding the causes of common dental emergencies are important for maintaining good oral health. In this edition of Doctor’s Corner, we ask Dr. Jaclyn Laute, specialist at IDC Dental, for more insights into dental emergencies and how we can avoid them. Dr. Laute: The situations that result in a dental emergency vary but they usually involve pain, infection, or traumas that occur in the oral cavity. – Pain is one of the most common reasons for patients to seek emergency care as it can be severe and affect everyday life. Most pain is dental- (tooth-) related and is due to inflamed or infected tissue inside or around the tooth. Bacteria are the usual cause of infection and inflammation of the gum tissues. The lack of proper dental hygiene, especially in hard-to-brush areas, or an eruption of wisdom teeth can induce a bacteria-infected field, and that can lead to infection and swelling. Cavities or decay can extend into the pulp of the tooth causing pain and inflammation. Pain tolerance varies with individuals seeking dental emergency care. With time, the infection will continue to spread beyond the pulp into the bone and tissues surrounding the tooth. Acute situations occur when the infection is spread into the facial spaces causing swelling and abscess. These require immediate attention. – Dental trauma is a large topic and technically can be a discussion on its own. Dental trauma from sports injuries, falls, or other accidents is another main reason for dental emergencies. In general, all facial or dental traumas should be seen immediately by a healthcare provider. In the situation of an avulsed tooth where the tooth is knocked out of the mouth, time is of the essence: the sooner the tooth can be properly put back into the mouth, the higher chance it has of recovery. Other dental trauma situations requiring emergency care can include luxated teeth, fractured teeth, fractured jaw, displaced joints, and soft tissue trauma with bleeding and swelling. – Smaller incidents like biting into something hard can cause a tooth crack or a filling detachment. These situations can cause severe pain or make normal facial functions such as eating or talking difficult and may result in needing emergency care. Just how important is it to treat dental emergencies as soon as possible? Dental infections should be treated immediately. An infection can cause an abscess or swelling that can spread to facial spaces. Some dental infections, such as those which are slowly spreading to the floor of the mouth can block the airway. They can be life-threatening if left untreated. Dental trauma should also be treated immediately. The difference in immediate or delayed care can mean the difference on whether a tooth can be saved or not. What are the common causes of tooth cracks, dental abscesses, and other dental emergencies during a travel? When traveling, the common causes of tooth cracks are accidents or biting on something hard. Dental abscesses do not happen without an existing source that has existed over time. It would be an unfortunate event if it occurs on a trip. Thus, I recommend getting preventive care with checkup and treatments prior to your travels. Other dental emergencies during travels would be variable based on the level of pain and discomfort to the patients. What dental care items do we need in our dental first aid kits? Dr. Laute: Avoid chewing on that area, and avoid hot or cold beverages as extremes can cause severe discomfort. Dr. Laute: Avoid hot or cold beverages as extremes can cause severe discomfort. Dr. Laute: Find the tooth! Hold it by the crown/ tooth part and not the roots. Rinse with water if it’s in a dirty site. Do not touch or rub the roots. The tooth can be reinserted or otherwise put in a container with fluids (own saliva or milk). Go to the dentist immediately within the first 20-30 minutes if possible. Dr. Laute: Put an ice pack on the swollen site and take anti-inflammatory OTC pain medication (if not medically contraindicated). Do not use hot pads. See a dentist immediately as infections can spread quickly within hours. Dr. Laute: Rinse with warm salt water. Take OTC anti-inflammatory medication. Dr. Jaclyn Dam-Laute completed her Bachelor of Science in Electrical Engineering in 1990 from the University of California, Irvine, USA. She then received her Doctor of Dental Surgery (DDS) degree from the University of California, Los Angeles, USA in 1994. She graduated with special Achievement Awards from the American Academy of Oral Pathology and the Academy of Operative Dentistry. In 2009, the American Biographical Institute nominated her for the “2009 Woman of the Year in Dental Health” award. She was also selected to be in the 10th edition of the International Who’s Who of Professional and Business Women publication. In this same year, the Consumer’s Research Council of America selected her as one of “America’s Top Dentists” based on her years of practice, education, and experience. Dr. Laute continues to expand her skills and knowledge through practice and education. 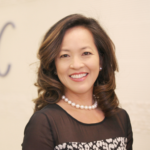 She holds active licenses to practice dentistry in Beijing, Singapore, Florida, and California. She speaks fluent English, conversational Mandarin and Vietnamese.